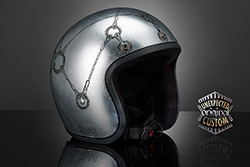 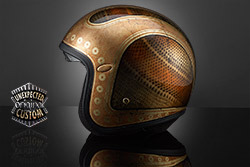 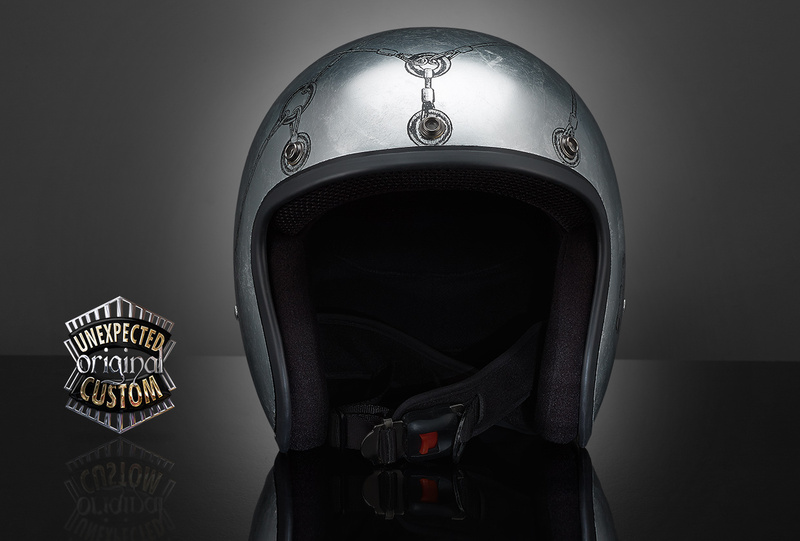 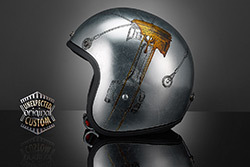 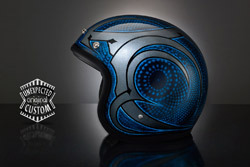 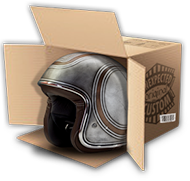 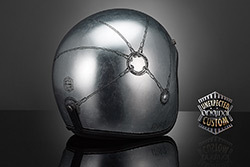 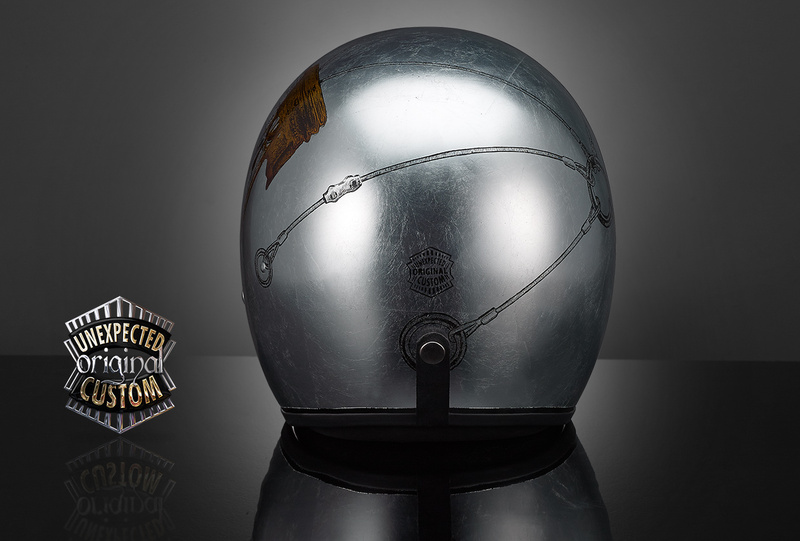 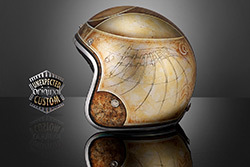 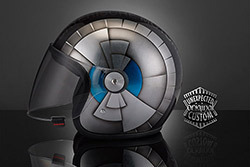 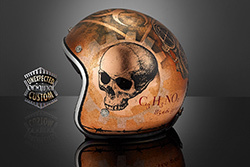 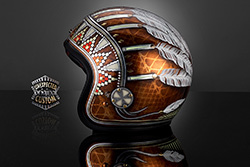 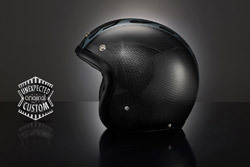 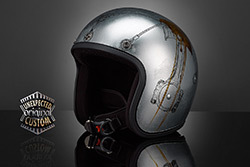 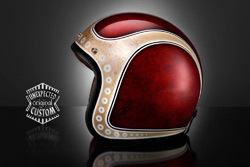 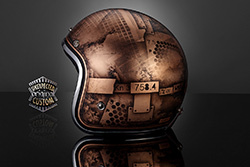 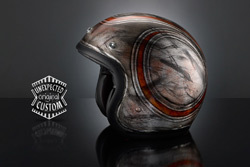 The sharp piston's graffiti of the motorcycle shines on the left side of the helmet. 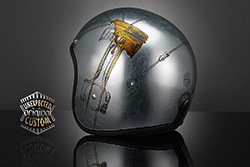 Counter opposed to that, on the other side there are a series of nodes of rods hooked to the actual physical buttons of the visor. 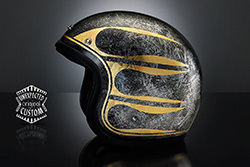 The whole composition is in black and white, and communicates with the gold oil that oozes from the piston. 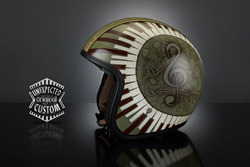 Once again the form and the meaning meet, in the dialogue between the colors. 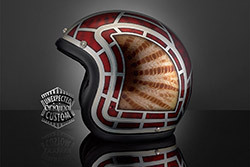 The technique used is the punta secca (dry tip). 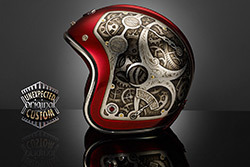 Thousands of scratches try to dig into the intimate secrets of the object. 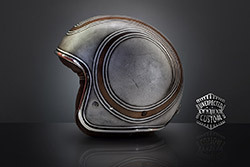 From the microscopic cuts emerge the drawing in its final meaning., freedom is only an appearance, by following the rods's road you discover the chain of the reality. 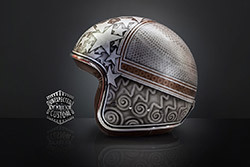 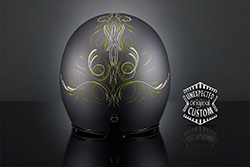 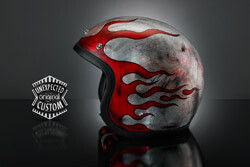 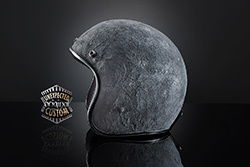 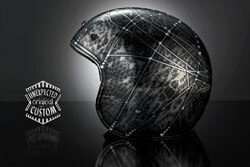 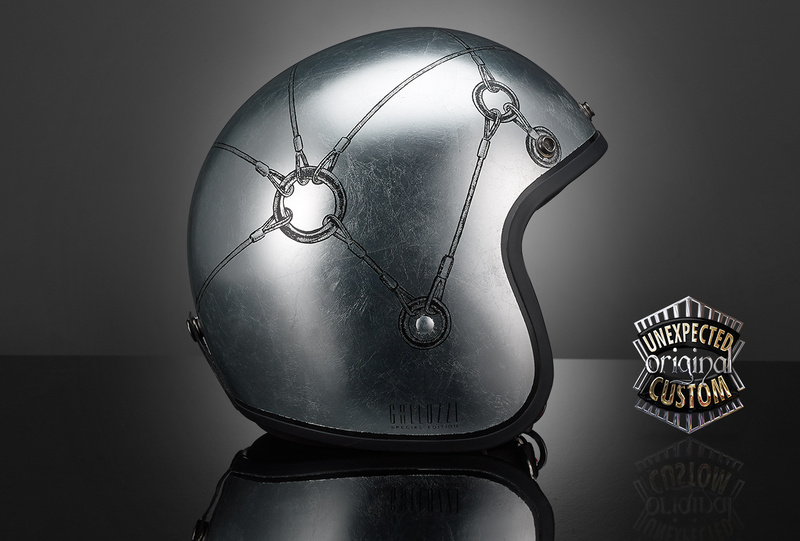 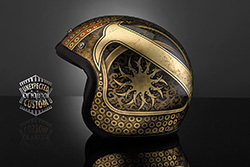 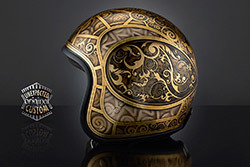 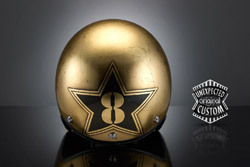 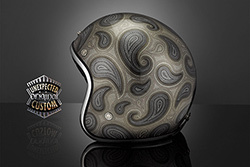 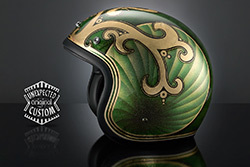 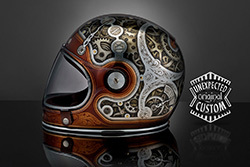 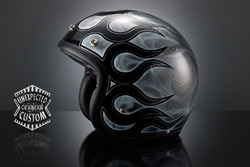 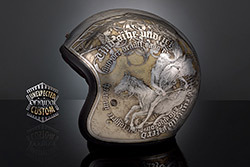 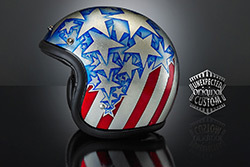 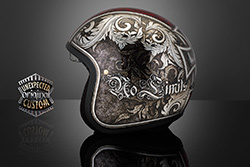 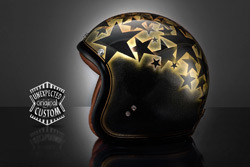 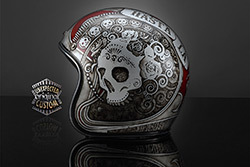 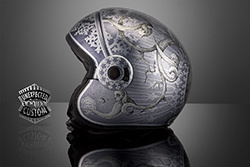 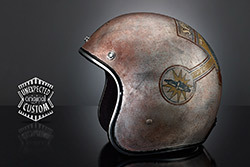 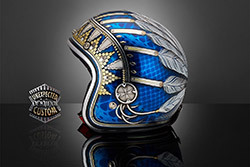 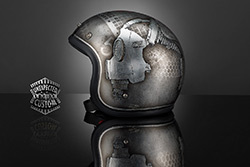 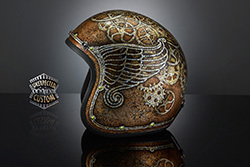 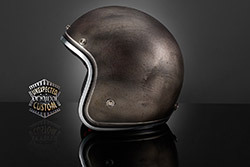 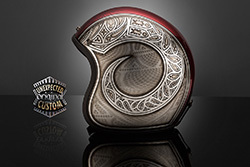 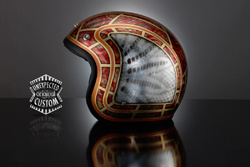 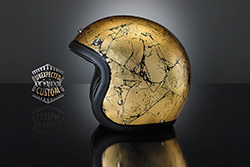 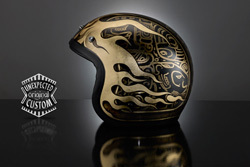 This custom helmet lid is completely covered in silver leaf and engraved with dry tip by the artist. 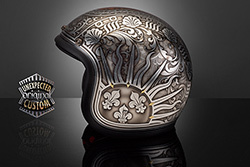 Foglia argento, pustasecca, colori per vetrata.